How time flies! It’s been two years since we visited Jose Rizal Shrine at Fort Santiago in Intramuros, Manila. We were like walking through the glorious past of our national hero by seeing the mementoes and artworks inside glass boxes. We didn’t see any musical instrument like a jimmy page les paul encapsulated in one of those glass boxes, but there are several manuscripts of books and poems for all generations to see. There could be a music sheet in one of those manuscripts for Jose Rizal can do or write about anything during his time. 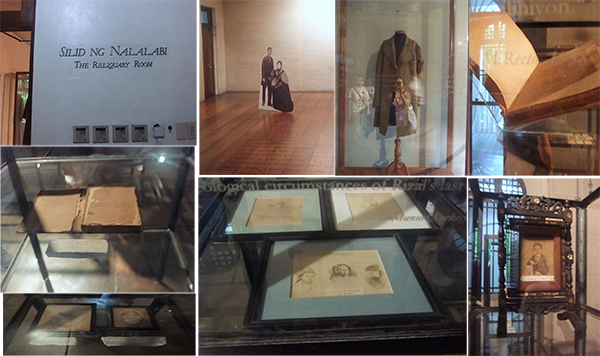 This entry was posted in Historical sites, Music, Places to visit, Tourists destination and tagged Fort Santiago, historical mementoes, historical site, intramuros, Jose Rizal Shrine, landmark, mementoes of Jose Rizal on June 20, 2015 by Yami. When in Rome—nay, when in Asia—it’s important to do as the locals do. This rule is especially important for business travel. To close deals and avoid cultural misunderstandings, all business travellers heading to Asia can benefit from researching local customs and doing their homework on the business landscape there as well. As well as organising the right itinerary and travel plans through an expert agency such as Corporate Traveller ,one of the biggest necessities for a successful business trip to Asia is knowing the right etiquette. The following five tips will help ensure your business trip to Asian countries is remembered for the right reasons. Asian cultures value face-to-face business; building relationships is an important first step to securing business. Social meetings are a way to gauge the suitability of a business partner, so it’s important to come off as humble and gracious in all social situations. Be wary of voicing any strong opinions, and never make a joke at anyone’s expense no matter how light hearted. Always respect prestige, status, hierarchy and honour of individuals, and never assume that the quietest person in the room is not important. Exchanging business cards is a highly important and slightly ceremonial procedure when doing business throughout Asia. The right etiquette involves using both hands to accept a card in a formal way and then spending a few moments looking over the card.In Asia, the business card is seen as an extension of the person, so avoid treating it with disrespect:do not scribble on it, fold it or carelessly handle it. When giving business cards, it is advisable to have one side written in English and the other in the local Asian language. Like Western cultures, dressing to impress is expected in Asia. That’s not to say you need to wear a suit in all situations, but stylish clothes and looking sharp also means you’re showing respect to your host. Facial hair is uncommon in Asia, so it is a good idea to groom away any beards and moustaches. In countries like Japan, the Philippines and Indonesia, giving gifts is part of local tradition. Always offer a good quality gift, and ask yourself what you want the gift to convey, ensuring you avoidgiving a gift that could be misunderstood. With gifts, the more thought that is evidentthe better. A safe bet is something that represents your culture. A good idea can be a local bottle of spirits or a good pen. Just remember not to give a gift unwrapped or select something that’s too extravagant—if your gift is beyond the means of the person who is receiving it, this could cause them to lose face. Ensure that you have a few spare gifts with you, so that if you are given a gift, you can reciprocate. Demonstrating your knowledge of and respect for local culture and customs while in Asia will reflect positively on you. One of the best ways to do this is by using a few local expressions in the native language. As well as doing your homework on local expressions, why not ask questions. Being genuinely interested about the culture of your business hostswill help to break the ice and show that you are open to doing business with a vastly different culture than your own. With these five tips, you’ll be on your way to being equipped to handle business prospects in Asia. Do you have any other tips for doing business specific to Asian countries? Share your insights below with a comment. This entry was posted in Travel tips and tagged travel tips on June 17, 2015 by Yami.